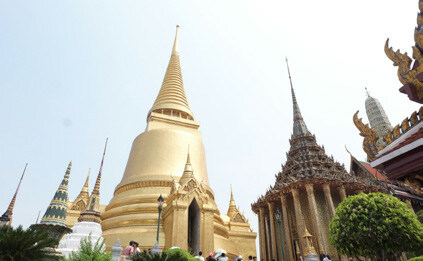 BANGKOK’S MAGNETIC ALLURE AND AN ENDLESS SOURCE OF FASCINATION TO THE PASSING VISITOR AND THE IN-DEPTH EXPLORER ALIKE. Always at or near the top of the world’s list of tourism destinations, the original “City of Angels” is an energetic urban centre that vibrates with the pulse of life and is a perfect entry point for exploring everything Thailand has to offer. Home to one of Asia’s richest historical, cultural and architectural heritages, the capital city’s popularity as a tourist paradise is reinforced year after year by the ever-growing number of travellers that come to visit. In the old city of Bangkok on the banks of the Chao Phraya River, the Grand Palace is one of the places in Thailand that must be seen. The palace complex, with its spectacular buildings and sacred sites, is one of the country’s most famous landmarks. It is divided into smaller quarters and a series of courtyards and gardens and is home to the Temples of the Emerald Buddha and the Reclining Buddha. 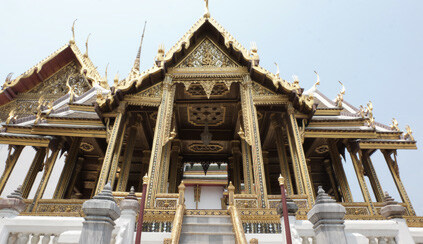 It served as the official residence of Thai Kings until the reign of King Chulalongkorn at the end of the 19th century. Today the Palace is used for a number of Royal ceremonies, state banquets and other official functions. Some parts of the Palace, such as the Inner Court, are not open to the public. Thanon Bamrung Muang is Bangkok’s famous street of many Buddhas. If you wish to buy a Buddha, this is the place to go. Like many ancient cities, Bangkok was once a city with dedicated artisan’s neighbourhoods and Bamrung Muang Road, close to Bangkok’s present-day City Hall, was the street of Buddha makers, the street where all the country’s Buddha statues were made and here you will still find Buddhas of all kinds, standing, sitting, kneeling, sleeping, the come in all shapes and sizes. These days they are made in factories out on the fringes of Bangkok but the road is still the place where the statutes are sold. Once an elephant trail, Bamrung Muang Road was one of the first streets to be paved in Bangkok and is the largest centre of Buddhist supplies in Thailand. They don’t only sell statues here; you will also find monk’s robes, candles, alms bowls and prefigured alms baskets for sale along both sides of the street. Travelling never seems quite complete without a bit of window shopping, and one of the many factors that draw so many people to Bangkok is the smorgasbord of shopping opportunities you’ll find here with a vast range of products available and a multitude of shopping venues throughout the city. With its selection of major shopping centres and alleyways filled with tiny boutiques and markets, Siam is unquestionably the centre for shopping in Bangkok and a favourite for the city’s fashion conscious youth. Everyone shops here from school and college students, office workers, trend-setting city dwellers and, of course, many, many international visitors. 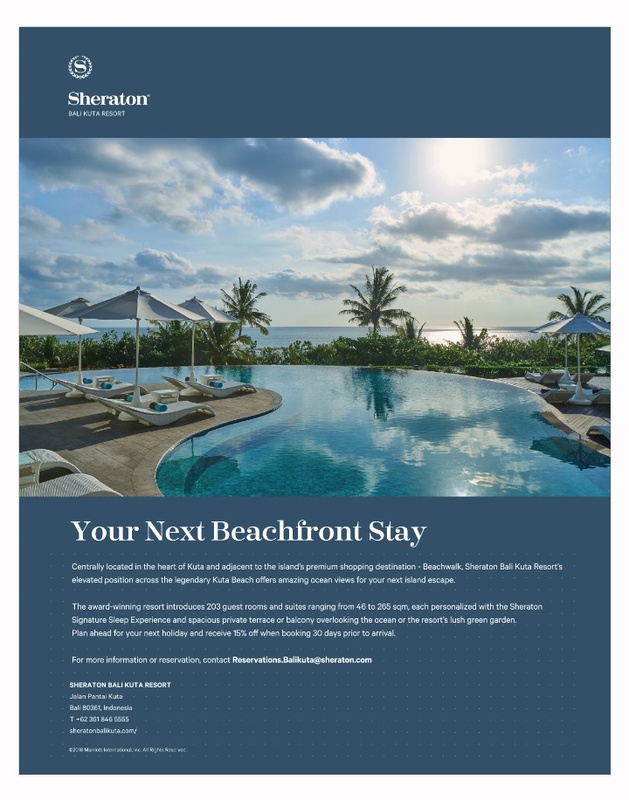 If you are looking for something extraspecial, then Siam Paragon is the place you’ll find it. Booming, chaotic, at times overwhelming, but never, ever boring. Year after year Bangkok becomes more culturally diverse, complex and compelling than ever.